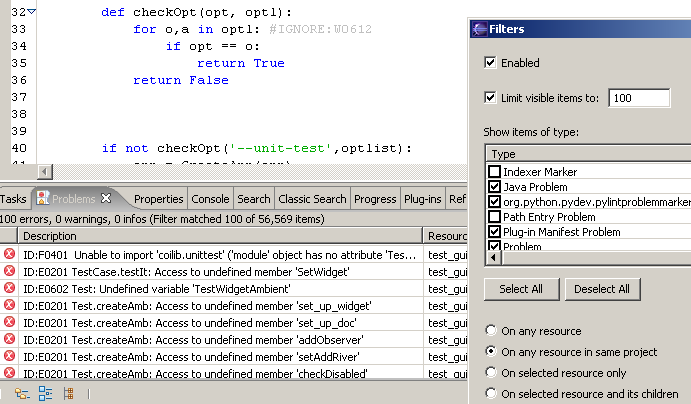 Modify your pylintrc to customize which errors or conventions are important to you. The big advantage with Pylint is that it is highly configurable, customizable, and you can easily write a small plugin to add a personal feature. Run it in emacs , vim (pylint.vim, syntastic), eclipse, etc. Pylint is shipped with Pyreverse which creates UML diagrams for python code. Running Pylint on your project's code can be automated using Apycot, Hudson or Jenkins. You have a company providing services with Pylint? Contact us to get listed here. Fork and pull request this website with mercurial on https://bitbucket.org/logilab/pylint.org.